How To Play A Woman’s Role Well? I have talked about the role of man and woman in a relationship and how to fulfill their roles. In this article, I will highlight the woman’s role. Some of what I teach starts with core principles. For instance, how to be attractive. You would be surprised how many women were not even familiar and at ease with their body. They did not know how to apply makeup and did not know how to dress up to make themselves attractive. To be a woman is actually not easy. This is the reason why problems occur continuously between the two sexes: women frequently have a hard time to play their role well. The women of today are very strong, competent and have a high level of education. Their ability to fight back is often ten times stronger than men. They speak fast, think fast, react fast, and act fast. They are also highly sensitive. However, in a relationship, these qualities will drive a man crazy. This is another reason why love can suffer. I am not here to tell women that they must suppress themselves and hold back. no reason for either one to try to show who is better than the other. In a relationship, men are not doing business transactions with women. Man and woman are not together because of needing to sign business contracts where one side may want the upper hand. But one has to know how to change your role between work and love. And don’t misunderstand this point. Women do not need to behave like a weak and helpless person at home either. And women do not have to show off anything or try to impress someone – they can just simply be adorable and be themselves! If you do these well as a woman, you will literally charm everyone around you! 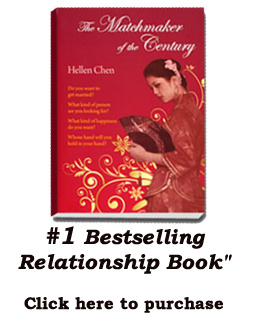 My book “Hellen Chen’s Love Seminar” covers how to play the role of man and woman to make a relationship working. 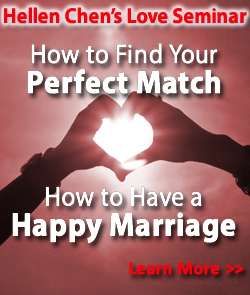 Los Angeles Love Seminar a Huge Success!